Please join Schwegman, Lundberg & Woessner, P.A. for an hour-long discussion on how combining litigation, reexamination, and interference results in the USPTO’s new adversarial proceedings: inter partes review and post-grant review. The AIA offers these proceedings to provide efficient patentability decisions designed to reduce the costs of litigation. Accused infringers must weigh potential estoppels against the benefits of the new proceedings, which provide for a settlement period and limited opportunities for discovery, depositions, claim amendments, and other motions. Lissi Mojica is an officer of SLW and considered to be among the world’s foremost experts in reexamination procedures. Prior to joining the firm, Ms. Mojica was a senior advisor at a Washington D.C. patent law firm, and served as an Associate Chair for the firm’s Post-Grant Law/Patent Reexamination Practice Group. Kevin Greenleaf is a registered patent attorney and an associate at SLW. 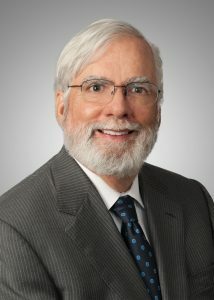 His practice includes patent procurement and post-grant review, portfolio analysis, technical analysis, and strategic counseling, with emphasis on computer architecture, software, circuit design, semiconductors, and microelectronic fabrication. This entry was posted in Conferences and Classes and tagged AIA, biotechnology law, intellectual property, ip, IP law tools, kevin greenleaf, lissi mojica, Patent Law, patent strategy, patents, USPTO, USPTO examiner, Warren Woessner. Bookmark the permalink.